I started training at Macgregor Qld in the late 70’s with Mr Ken Mayfield and then trained under Master Dale Eagling until his unfortunate death. Grandmaster Sung Soo lee has always been his master for the past 35 years. This club continues to use the Dale Eagling Syllabus out of loyalty to Mr Eagling and because it is considered the best in the country based on good technical requirements and very high ethical and moral standards. It is a traditional club based on integrity. I opened my first school under my own name at Macgregor in 1985. The school rapidly increased to approximately 5 schools within 2 years and currently to what it is today. The goal is locations providing ample opportunities for club members to be instructors and grow themselves as practitioners. Many of my instructors and students have been with me for over 25 years. Both the Taekwondo Schools and Hapkido Schools continue to thrive and the quality of the students and the syllabus is excellent. 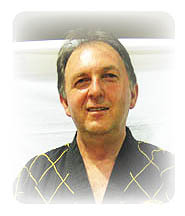 Appointed Secretary General Tkd Aust 2000, reelected 2002 and 2004 and 2006.